Researchers have discovered why sleep can sometimes be the best medicine. Sleep improves the potential ability of some of the body's immune cells to attach to their targets, according to a new study published in the Journal of Experimental Medicine. The study helps explain how sleep can fight off an infection, whereas other conditions, such as chronic stress, can make the body more susceptible to illness. Researchers decided to investigate the effects of a diverse group of signaling molecules known as Gαs-coupled receptor agonists. Many of these molecules can suppress the immune system, but whether they inhibit the ability of T cells to activate their integrins and attach to target cells was unknown. The authors found that certain Gαs-coupled receptor agonists, including the hormones adrenaline and noradrenaline, the proinflammatory molecules prostaglandin E2and D2, and the neuromodulator adenosine, prevented T cells from activating their integrins after recognizing their target. "The levels of these molecules needed to inhibit integrin activation are observed in many pathological conditions, such as tumor growth, malaria infection, hypoxia, and stress," says the author. "This pathway may therefore contribute to the immune suppression associated with these pathologies." Adrenaline and prostaglandin levels dip while the body is asleep. The authors compared T cells taken from healthy volunteers while they slept or stayed awake all night. T cells taken from sleeping volunteers showed significantly higher levels of integrin activation than T cells taken from wakeful subjects. The researchers were able to confirm that the beneficial effect of sleep on T cell integrin activation was due to the decrease in Gαs-coupled receptor activation. "Our findings show that sleep has the potential to enhance the efficiency of T cell responses, which is especially relevant in light of the high prevalence of sleep disorders and conditions characterized by impaired sleep, such as depression, chronic stress, aging, and shift work," says last author. In addition to helping explain the beneficial effects of sleep and the negative effects of conditions such as stress, the authors study could spur the development of new therapeutic strategies that improve the ability of T cells to attach to their targets. 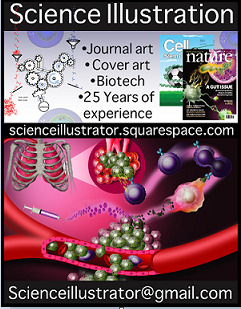 This could be useful, for example, for cancer immunotherapy, where T cells are prompted to attack and kill tumor cells.